While Brownie and fam catered Thanksgiving, my best friend and I decided to treat our families to a Thanksgiving out. And being true New Yorkers, we went to Katz's. It's been a rough year; we were all just thankful to have each other. 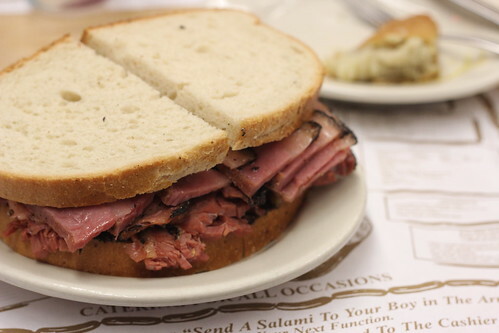 And I wanted pastrami. Amazingly, Katz's wasn't that packed during the late afternoon. We easily got a full table to seat all ten of us. Though Katz's did have a Thanksgiving all-you-can-eat going on, we went straight off the regular menu. 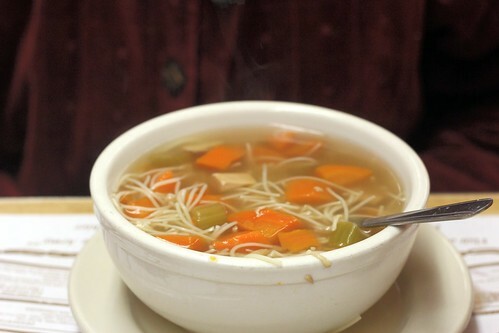 I made Momsie get some soup since it was cold out and she's gotten too thin. Stan got way too much to eat and being to her side, I ended up eating most of her knish. 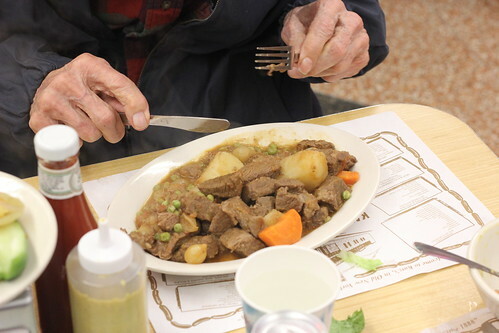 And did you know you can get a full plate of good looking beef stew at Katz's?! They made this fresh for Bobba. 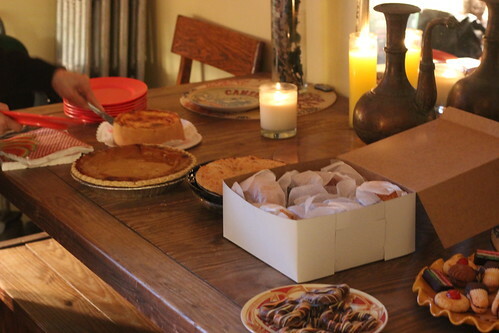 Somehow, between ten people, we expected to eat three pies, a dozen doughnuts, and cookies. This happens at everyone's Thanksgiving, right? My friends were incredibly happy when I showed up to watch football with leftover doughnuts and pie. They were not getting the 1/4 of my sandwich that was leftover. No way!